April 20, 2016	Eddie Villanueva Jr. The opening sequence follows the skillful hands of a candy maker creating one of his delectable confectionery treats to the upbeat tune of the Sunday School song “Joshua Fought the Battle of Jericho”. After this, we see Ernestine singing a song called “Move Daniel” to James, as she prepares his clothes for working in the field. He grabs hold of a half pack of candies, similar to the ones created earlier in the episode, but she instructs him that he needs to focus on working in the fields and that things are different, as Sam leads him to the fields and shows him the ropes. He warns him to work hard, keep his eyes to himself, and to not stare at the overseers. James has a hard time with the change, as he isn’t used to working in the fields, picking cotton like the other slaves. As his hands bleed from the cotton plants, Sam puts ointment on them, until he starts to develop the calluses for the job. Bill, one of the overseers, comes over, menacingly, leans in, and asks James if he knew what would happen if he doesn’t pick enough to make weight. Once in line, Sam realizes that James didn’t make weight, and to save him from harsh lashes, he quickly switches bags with him, causing Sam to get the lashes. At night, Ernestine tends to Sam’s lashes, telling him that he can’t switch bags with him tomorrow, that James needs to learn to not be soft. Early the next day, James begins moving to the beat in his mind, remembering the song his mother sang, and quickly getting to it. As though he grew up overnight, his drive and tenacity to work like the others intensify. By the end of the work day, Bill can’t believe his own eyes how much James picked, surprising even Sam, who was in line right behind him. Later that night, James tells his brother that he told their mom that he made weight and that she said she was proud of him, but that she seemed sad about it. James was confused, stating that he thought she wanted him to not be soft. Sam comes down from his chair, and kneels in front of James, telling him something that their father told him: “Just ‘cuz you have to play dumb, don’t you ever let them make you think you really is.” Later, we see James in his room, opening a small seam in his bag he uses for the pick. Out of the seam comes a large amount of sand, the excess weight he used to meet the quota for the day’s work. We jump to August and Ben making their way up the steps to go see the hospital where Ben’s mother is being treated. As the doctor is explaining to August what is going on with his wife, Ben begins to understand the nature of the place that August has his mother by all the cries and screams in the distance. Ben all of a sudden barges into the office, demanding to see his mother’s room. He swats away a dish of candies, again much like the ones from the beginning of the episode, and finds the keys to the rooms, and darts off. Soon we find him in his mother’s room, with only a mattress on the floor for furniture. The walls are covered with writings and scribbles, filling every nook and cranny. 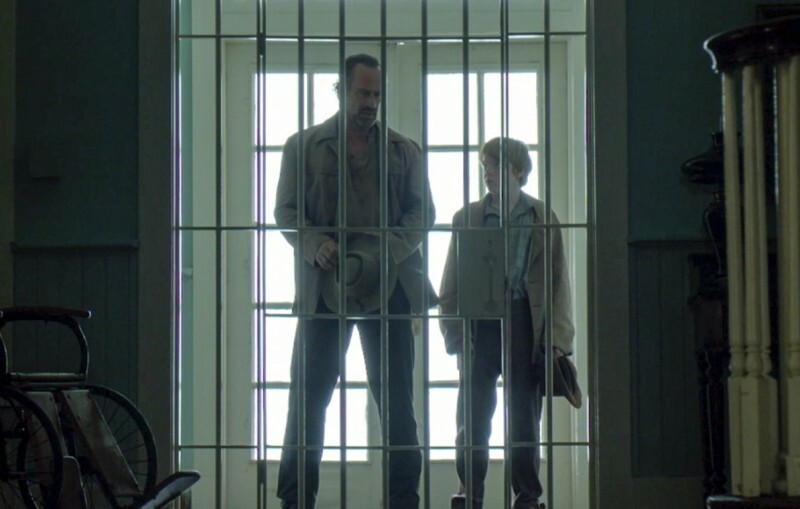 August and the doctor make their way finally to the room just as Ben realizes what the words are on the walls: they’re lyrics to songs that his mother taught him. He lays on his mother’s bed, seeing things from her perspective, and states that they need to go in the direction of the woods. Ben soon finds his mother in the forest, looking pristine, and singing beautifully to him, but as August catches up, we see the truth: she’s in a straight jacket, and muttering the same chorus line over and over. August tells Ben to be careful, as he walks up to her carefully, but as he starts to sing along with her, she then recognizes who is with her, and turns to him, speaking his name and breaking the cycle of singing. Ben, sitting next to his mother on a bench at the hospital, finally gets a chance to talk to his mother. She tells him that he reminds her so much of his father. Ben tells her that August is teaching him how to track, but that he’s also seen his father doing bad things. He asks his mother if his father is bad or good, which leaves her speechless. The scene switches to watching Boo run through the bushes, trying to hide from slave catchers. She finds a hiding place underneath a bush, as she hears someone walking in the distance. A woman walks by, but then stops and comes back, finding that it’s actually Elizabeth Hawkes. She kneels down in front of the bush as though not to frighten, but to let her know that she wants to help her. Boo is still in fear, and Elizabeth can see it all over her face. As Elizabeth continues to try to strike a conversation with the child, we hear a voice in the distance. Elizabeth tells Boo to stay there, as she gets up and walks over to somewhere off-camera. She is questioned by one of the men chasing after the little girl, as she tells them that she hasn’t seen anyone near her home. Elizabeth draws a bath for Boo, still seeing the uncertainty in Boo’s eyes. As Boo makes her way to the bath, however, we immediately see a flashback from Boo’s perspective of what seem to be like fireworks emerging from the other side of a riverbank, as we witness Moses getting hit. Boo screams, but Elizabeth is quick to respond, giving the little girl a hug, and reassuring her that she’s there for her. As night falls, Elizabeth tucks Boo into bed, letting her know that she will keep her safe and that she is willing to do whatever it takes to keep her safe. Boo, who up until this time hadn’t said a word, tells Elizabeth her name. Elizabeth smiles and pulls the covers over here to sleep. We get another flashback of Moses holding Boo on the train, telling Boo the Bible story of Moses and the parting of the Red Sea. Boo innocently asks her father if he was named after him, to which he replies that he was probably named after him. We jump forward to the morning after, as Elizabeth helps Boo pick out bows for her hair, speaking to her about where she’s from. Elizabeth finds out that Boo is from Tom Macon’s plantation. Boo reveals that her father and mother are dead to which stuns Elizabeth until she is snapped out of it by the sound of pounding on her door. Marshall Kyle Risdin comes into question Elizabeth about the runaway that some have said was near her home. He moves in close to Elizabeth, holding her close, looking longingly into her eyes, and tells her that if she was his, things would be different. 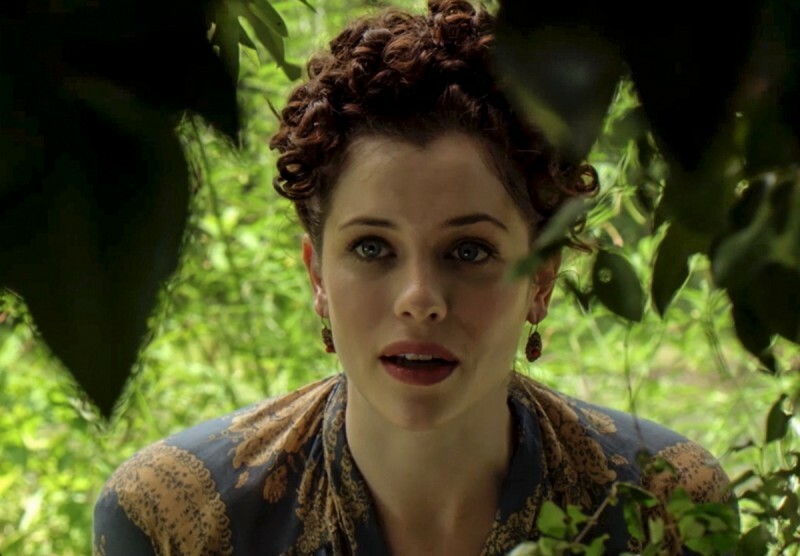 Elizabeth looks deep into Kyle’s eyes and realizes what she has to do. She tells Boo to stay downstairs, and that she will be right back, reassuring her that she will be safe. She then, reluctantly, leads Kyle upstairs, to the bedroom. Later, we see Kyle walk to the front door, without a word to Boo, and leaves. A while has passed, as the night arrives, and we see Boo still sitting in the chair downstairs, as she eats one of the aforementioned candies that are in a dish on the table. She then gets up out of the chair to walk upstairs, finding Elizabeth looking in astonishment while sitting in the tub. Boo walks over to Elizabeth and kneels beside her, caressing her cheek. Elizabeth leans into her hand, finding solace in the girls small hands. Henry makes his way outside, talking with Rosalee about helping with the food, when all of a sudden, there’s a gunshot, and Henry is hit in the shoulder. Noah grabs them all, as Cato follows close behind, into one of the nearby teepees. Cato tells them that they’re surrounded, as the men outside countdown until they open fire. Henry quickly grabs Noah and tells him that there’s a stockpile of gunpowder in the teepee across the way. Noah runs out quickly to grab a torch but is instantly shot in the leg and shoulder, dropping him to the ground. Henry hears the gunshots and makes the decision to run outside to light up the place. He pushes past Cato and Rosalee to grab the torch from Noah, but not before getting shot several times. As he tumbles to the ground, he throws the torch at the teepee, causing a huge explosion, drowning out the sound of Noah screaming Henry’s name. We jump to seeing T.R., Tom Macon’s son, playing with a toy horse throughout the house. As he plays while in the dining room, Ernestine slips him a roll of the candies we’ve seen throughout the show, telling him that they should hold him over until dinner. As he leaves the room, he accidentally runs into the Reverend. After the Reverend chastises him about still playing with toys at his age, he then leads him to the stables to ride a real horse. While on the horse, T.R. notices a wild horse that is being whipped and trained afar off. The Reverend tells him that he needs to get whipped so that he knows who is master, giving a whole speech about the supremacy of man, giving a subtle undertone regarding slaves. Later, Tom and T.R. go for a walk, where T.R. sees James and waves. Tom quickly takes T.R.’s focus on to the plantation, showing him that everything that he sees will be his one day: the land, the cotton, and the slaves. This week was, without a doubt, one of, if not the best episodes of the series so far! The anthological approach to the story structure of the episode really highlighted some great performances from the cast. From Renwick D. Scott as Henry to Toby Nichols as T.R., nothing but stellar performances all the way around. I’ve talked about it before how the score and soundtrack to the series plays a huge role in the progression of the story, and this episode was one of those great examples of just that. The show title, “Cradle”, was typified consistently throughout with songs of children’s Sunday school or children’s choirs, and followed the evolution of the characters in the episode with either darker or more ominous tones that held more weight within their notes. Another high point about the episode was the incredible story development, utilizing the show title as a platform to launch from. We follow not just children, but the child-like mindset, progress and mature, coming to grips with the reality of their environment. Whether it was James realizing that this is his place in life and that it wouldn’t be fixed with candy like before, or it was Elizabeth realizing that she has gone to great lengths to keep people she cares about safe, even if it means to do things that make her feel dirty and ashamed. The plots were very well orchestrated and carried out, and each portion of it held a mindset of a lesson being taught. Overall, Underground was so great, and, as I’ve said, continues to impress! 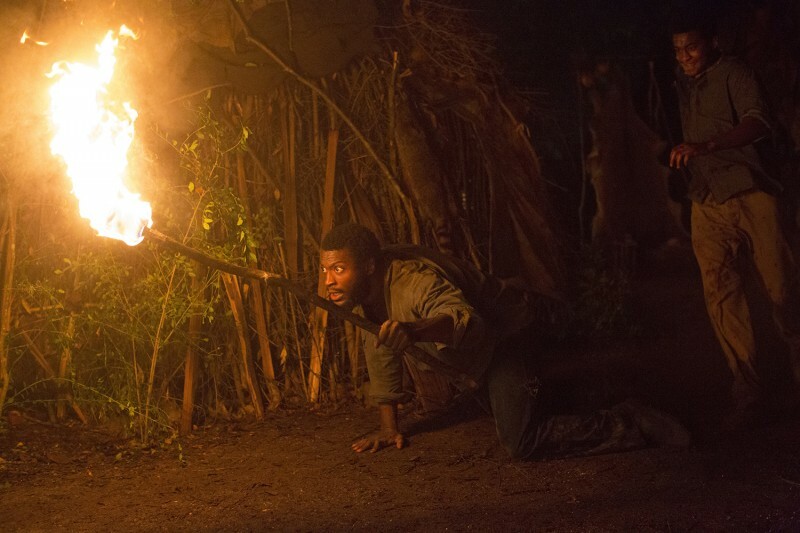 To take a story of this magnitude and create the deep well of storytelling and character development like only WGN America can is astounding, and I can honestly say that this show deserves an Emmy. Period. End of story. I’m a deep fan of this series, and I have no problem in sitting here, twiddling my thumbs, and waiting for next week’s episode to come. 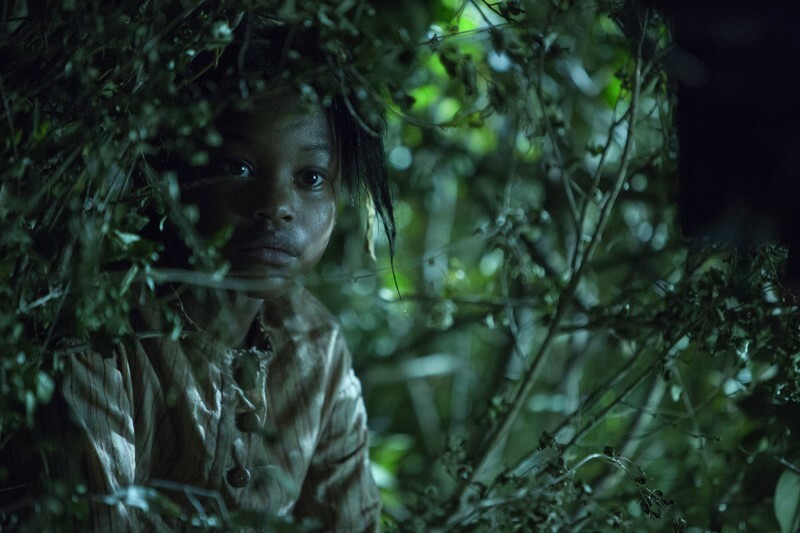 Underground has shown that no matter where you’re coming from, whether the “Cradle” or the grave, a great story is always exactly that: a great story. What did you think of the episode? Let us know your thoughts in the comments below! Underground airs Wednesdays nights on WGN America.